Chai tea is a beloved beverage in India. It's commonly consumed in the mornings to start the day and is a central part of community events. The spiced drink makes an appearance at weddings and informal gatherings with friends and family. You'll often see people sharing the drink with selling wares at the local market or chatting with neighbors at the local coffeehouse. Chai has become increasing popular in the western world as well. Just about every coffee shop sells the stuff and it’s easy to buy in tea bags and sachets. The unique spiced nature of this drink makes it stand out from the crowded market of floral and herbal teas. Check out how you can add your own spin to this tea and sip it all year long. Chai is commonly called masala chai. In the Indian language, chai simply means tea, whereas masala means ground spices. Masala chai contains a blend of delicious flavors that can invigorate energy and improve digestion. It's renowned for its health benefits and is a common staple in cultural traditions across Asia. Chai nutrition facts vary largely on how the beverage is brewed. Traditional chai tea is generally healthier than sweetened varieties. Traditional chai is made by hand grinding spices and infusing them in black tea or hot water. Chai tea bags and ground spices can be used to speed up the preparation process. There are even chai k-cups so you can enjoy a cup of chai in minutes. For the best flavor, we recommend grinding your own spices for chai whenever possible. Chai is a strong flavored tea that is also pungently aromatic. The rich flavor varies depending on the ingredients used, but tends to have a spicy flavor with a hint of sweetness. Ginger and pepper add a spicy kick that is evened out by the earthy notes of cardamom and cloves. A touch of cinnamon adds a dash of sweetness for a smooth finish. Chai tea is commonly sweetened using maple syrup, brown sugar, and sweetened milks. It's often found at coffee houses such as Starbucks in the form of a latte. The milk and sugar helps to increase the robust flavors of the spices while simultaneously adding a creamy texture that makes the beverage full-bodied. Chai can be made using dairy milk as well as nut and other plant-based milks. Chai is typically made using 5 standard spices and optional black tea leaves. 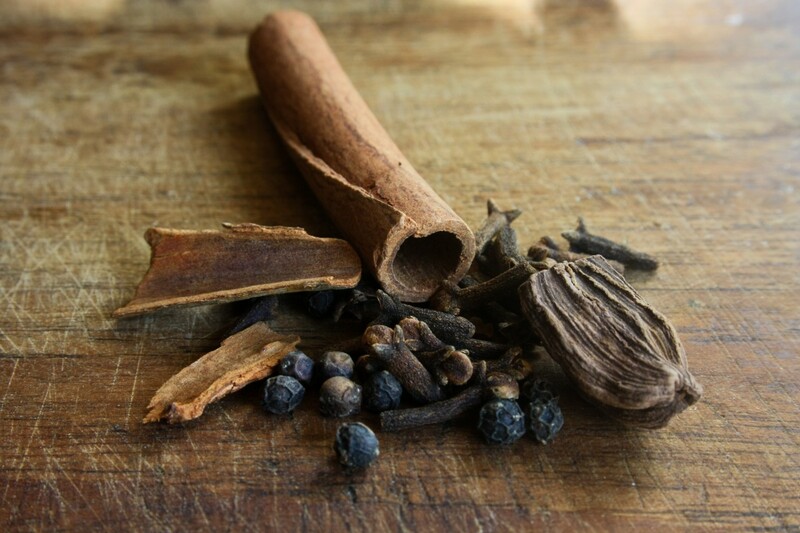 The standard five spices are cardamom, ginger, black pepper peppercorns, clove, and cinnamon. Chai is a special beverage because it can be adjusted to suit your own tastes. Many chais also add in star anise, ground nutmeg, or coriander seeds. You can use whatever spices you like, but make sure to include the 5 staple spices for the most traditional flavor. 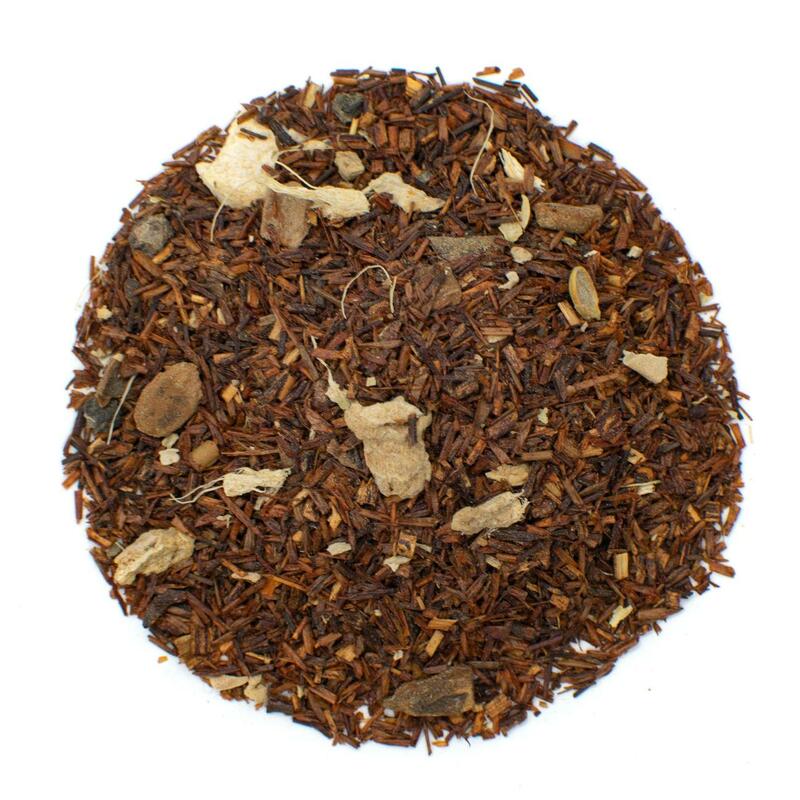 Our Rooibos Masala Chai tea uses red bush tea as a base for a delightful spiced blend that’s also naturally caffeine-free. 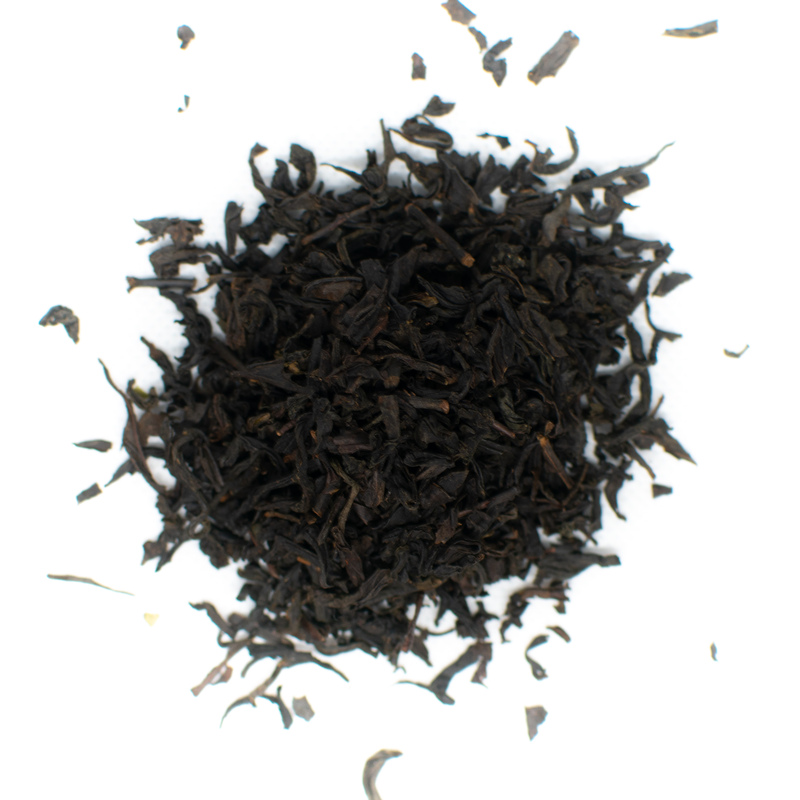 The addition of black tea leaves makes chai a good alternative for coffee in the morning. The black tea contains naturally occurring caffeine that can help wake you up and help you focus. 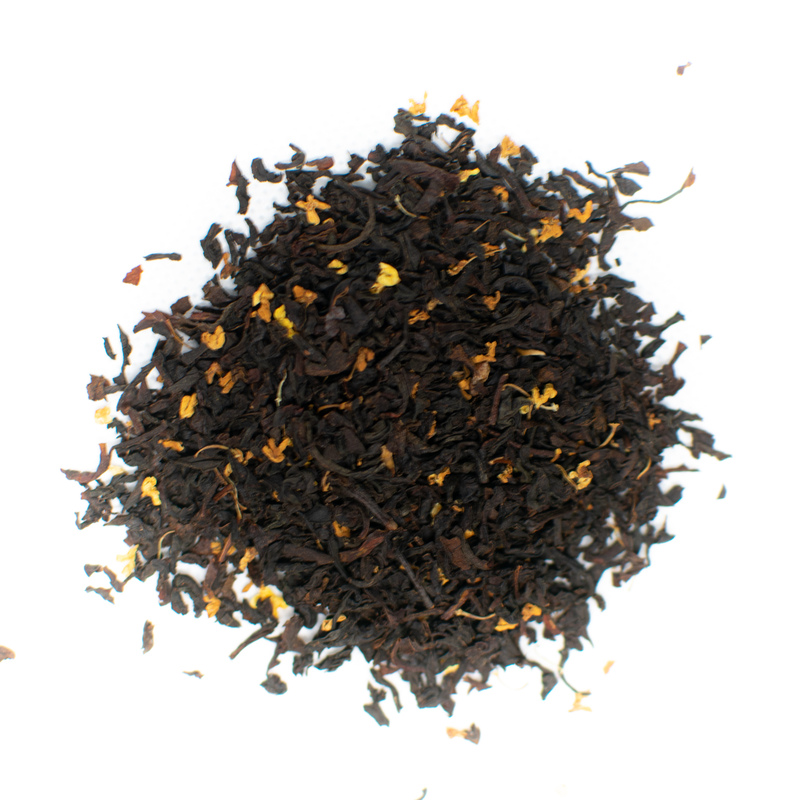 Traditional chai recipes call for Indian black teas such as Darjeeling and Assam. 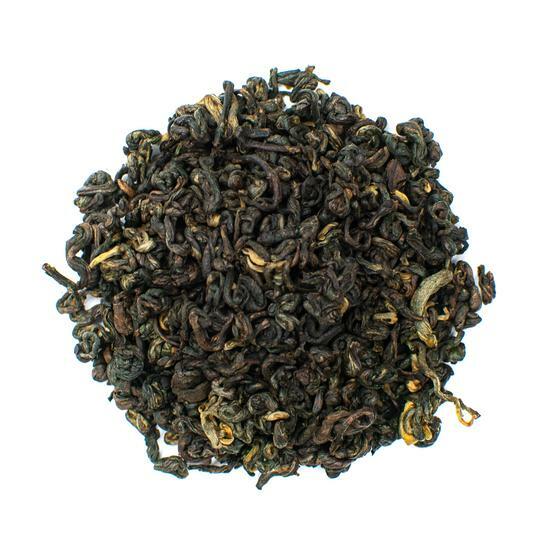 Sri Lankan Ceylon black teas can also be used as well as Chinese black teas if preferred. Loose leaf teas are preferred to black tea bags, but tea bags can be used if you're pressed for time. 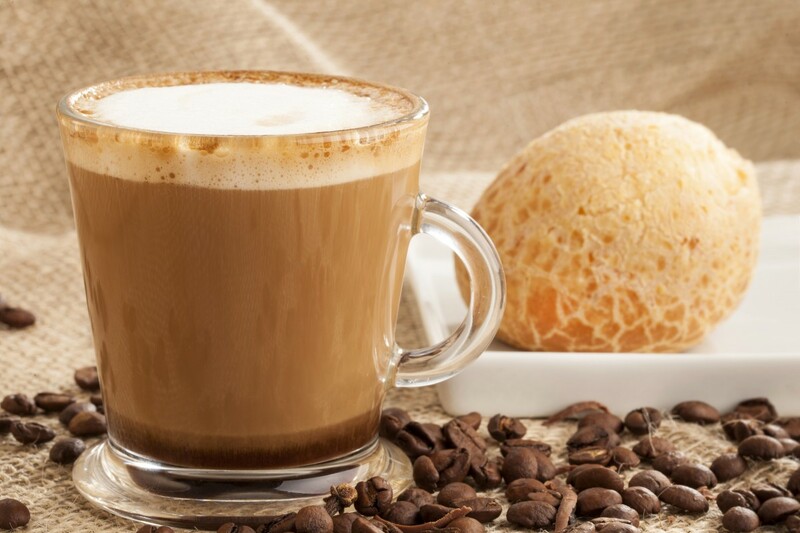 Here, we'll show you how to make chai lattes to suit any season. Before we can get to those delicious creations, you need to learn how to brew chai. Follow the steps below for perfect spiced tea every time. 1. Grind the spices using a spice grinder or mortar. If you don't have a spice grinder, place the spices in a plastic bag and hammer with a mallet. In a pinch, you can also use ground ginger, ground cinnamon, ground pepper, ground cardamom, and ground cloves. 2. Add the ground chai spices to a small saucepan and pour in the water. Cook on medium heat or high heat and bring the mixture to a rolling boil. 3. Use a thermometer to gauge the water temperature. Once the hot water has reached 212 F, remove from heat. Add in the black tea bags or black tea leaves. 4. Steep the tea concentrate for 5 to 10 minutes. Longer brewing times with result in stronger flavor profiles. To ensure the best flavor, brew for 5 minutes and taste in 30-second intervals thereafter. 5. In a medium saucepan, bring the 2 cups milk to a boil. Use an immersion blender or frother to whip the milk into a soft foam. 6. Pour the tea concentrate into a mug and then add the milk foam on top for a delicious latte every time. 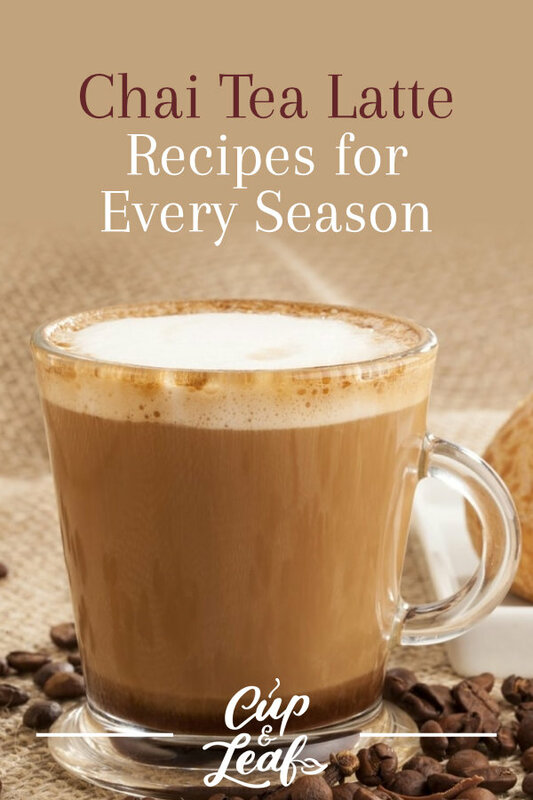 Brew up these seasonal lattes using the basic chai recipe as a guide. Simply add in the extra ingredients to the tea concentrate portion of the recipe before adding the steamed milk. 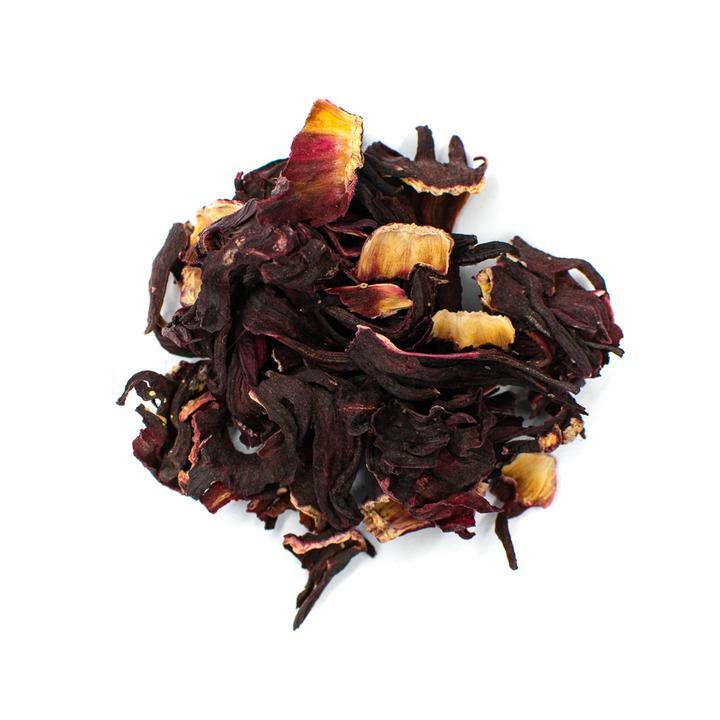 Our Egyptian Hibiscus Petal Tea combines grace with beauty. High in vitamin C, it can help you stay healthy when the seasons change. Nothing says spring quite like floral, fragrant blooms. 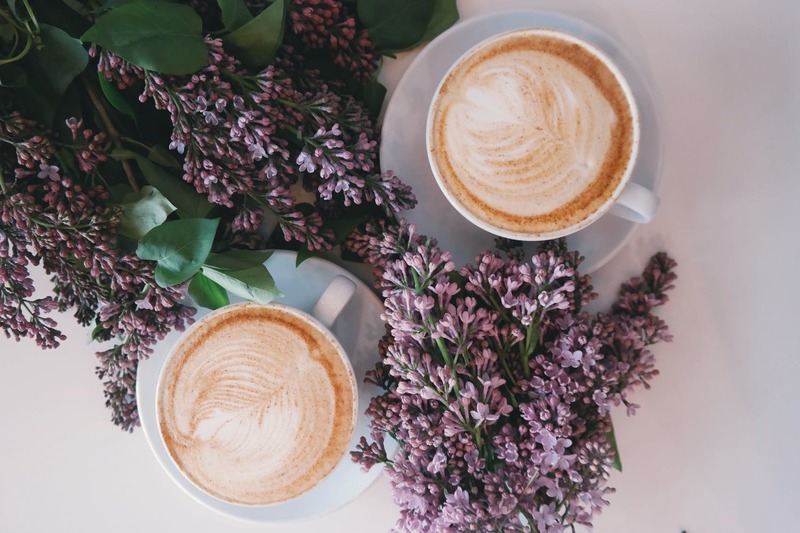 Add the spirit of renewal to your chai latte with fresh lavender blossoms. You can also use other flower blossoms if preferred. Common favorites that blend well with chai include chamomile and hibiscus. 1. Brew chai tea concentrate. Add in lavender at the same time as the black tea bags or tea leaves. Strain the leaves and flowers using a fine mesh strainer. 2. Pour tea concentrate into a teacup and top with steamed milk. 3. Garnish with a fresh lavender blossom. Cool off in the summer heat with this crossover of tea and a smoothie. 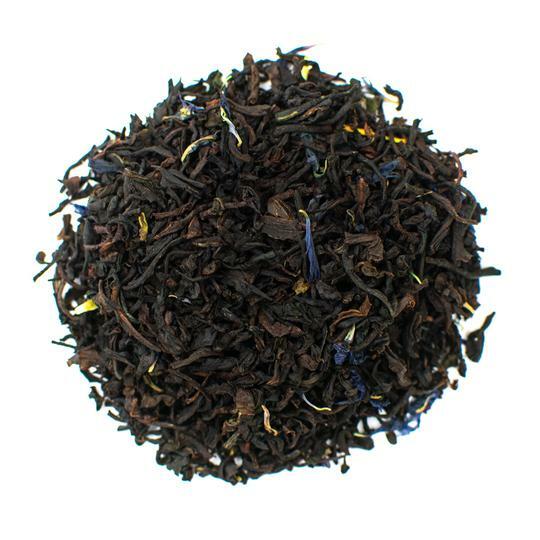 The fruity flavors add a tart and sweet note that contrasts the spicy flavor of chai. The refreshingly cool beverage will help you beat the heat, even in the middle of a heat wave. 1. Brew chai tea concentrate. 2. Combine the tea with steamed milk in a blender. Add frozen fruit and ice and blend until smooth and creamy. 3. Garnish with a slice of fruit and an umbrella straw. Ditch the overhyped pumpkin spice latte and try something new this year. 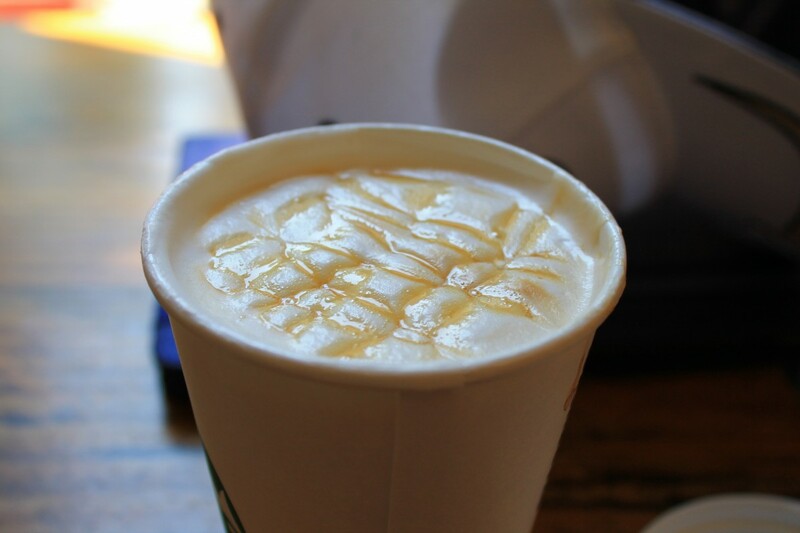 Stay warm as the leaves begin to fall with a salted caramel chai latte. The caramel adds a sweet note to the spicy flavors. The addition of salt gives this beverage a savory hint that pairs perfectly with sweater weather and holiday preparations. The best part about this recipe is that it only has two extra ingredients and takes the same total time as a standard chai latte. 1. Brew chai tea concentrate. Add in the ground vanilla beans or vanilla extract. 2. Top tea mixture with steamed milk. 3. Garnish with salted caramel syrup and a dash of cinnamon powder. 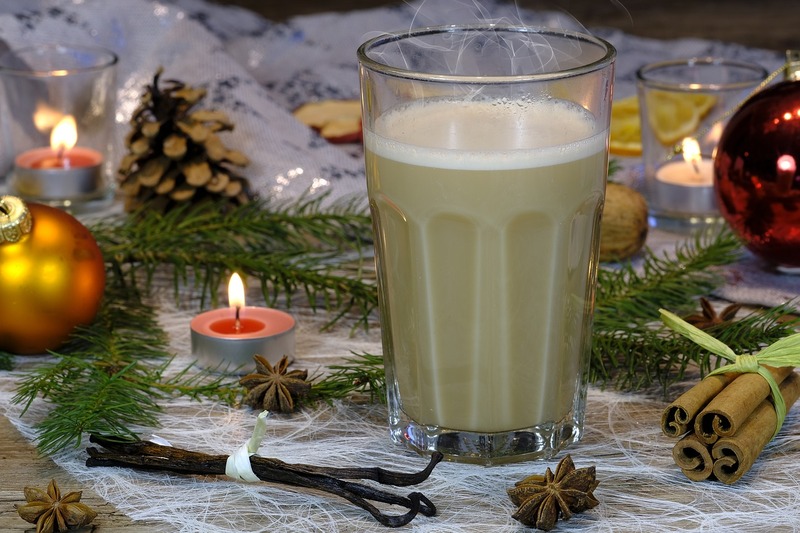 Celebrate the holiday season or relax après ski with a nutty and minty take on the classic chai latte. The invigorating peppermint will help awaken your sense while the chestnut and chai spices will warm you up. 1. Brew the tea concentrate as normal. Add in the mint leaves at the same time as the black tea leaves. 2. Cut the chestnut shell using a kitchen knife to expose the nutty center. Place in the oven and roast at 350 F for 35 minutes. You can skip this step by using roasted chestnuts. 3. Add the brown sugar and water to a small saucepan on medium heat. Stir until the sugar dissolves. Remove from heat and stir in the pecans. Place the pecans in the oven with the chestnuts, but only roast for 10 to 12 minutes. You can skip this step by using pre-sweetened roasted pecans. 4. Allow the nuts to cool and then blend with a dash of brown sugar on high speed. Once the mixture is smooth, pour desired amount of the syrup into your tea cup. 5. Add in the tea concentrate and stir well. Top with steamed milk. 6. Serve with a dollop of whipped cream and garnish with a few nuts. 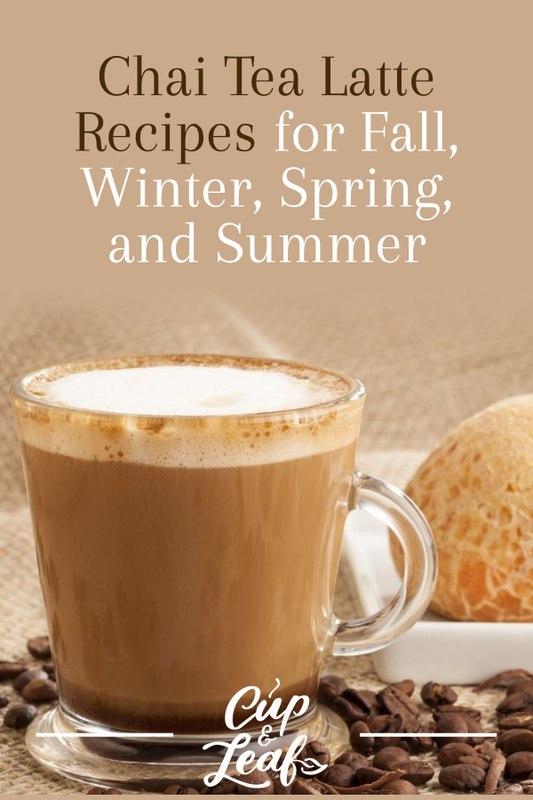 Cool off with refreshing iced chai lattes in summer or warm up with hot drinks in autumn and winter. 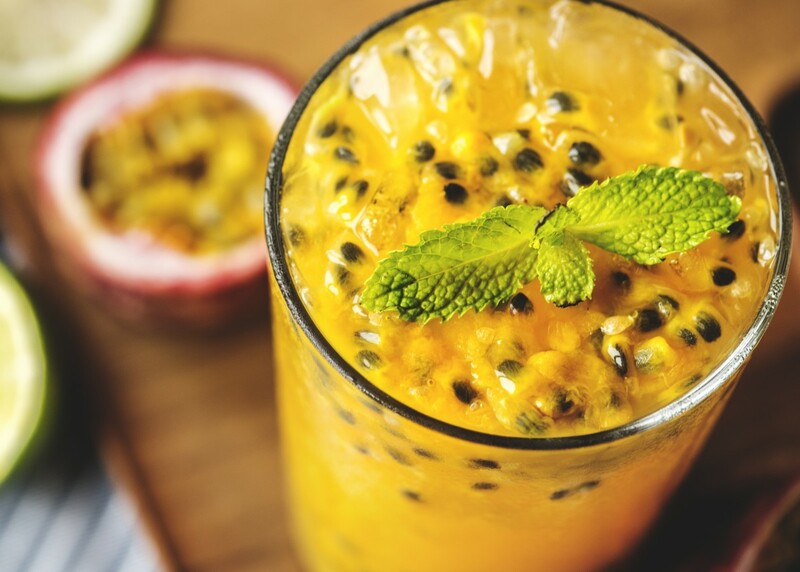 Be curious and experiment with different flavors to create beverages you love. Chai spices blend well with fruits and other spices, making this an easy drink to make your own.